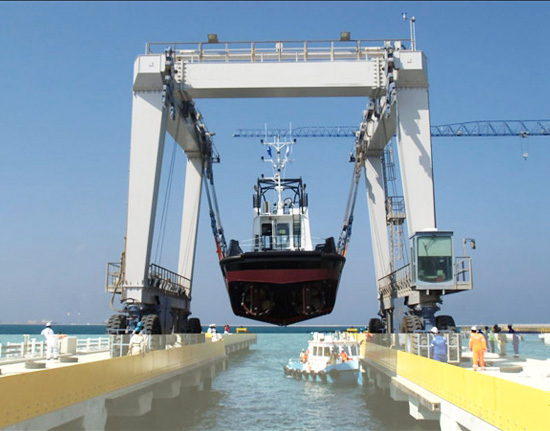 500 ton travel lift is used to handle the boat that approaches 500 tons or less. 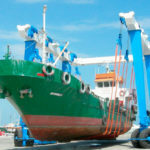 It is a kind of large boat handling equipment designed for the needs of boat builders, large marinas, shipyards and commercial yards. Our boat travel lift provides easy load control, smooth operation, accurate positioning and great durability. 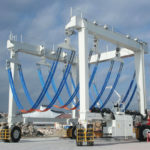 It makes the vessel handling effortless and efficient. 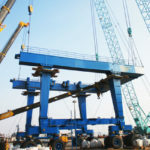 What Are The Uses of 500 Tons Travel Lift? 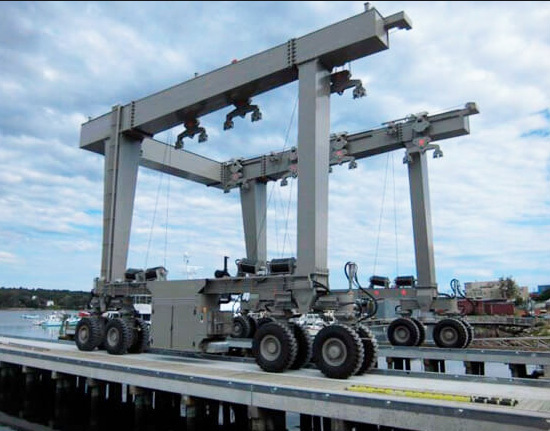 This large boat lift is engineered to handle the load quickly and easily. 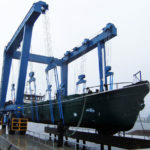 They are intended to provide the safest, most efficient and economical handing and transportation for your work boats, fishing boats, tugs, barges, yachts and so on. 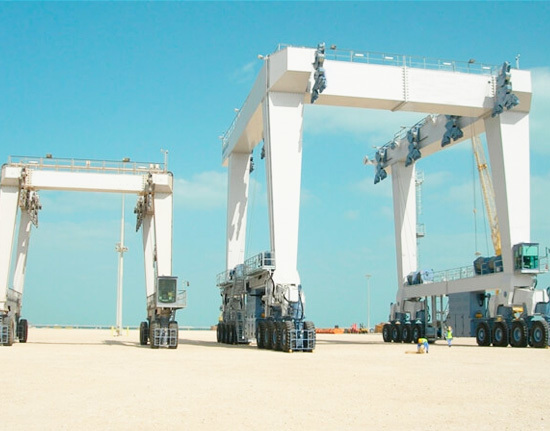 These heavy duty travel-lifts are designed for different purposes, such as to launch a boat, lift a ship out of the water, transport, dry-dock. 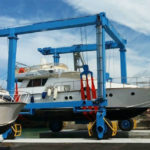 If you need to maintain or repair your boat, or arrange these vessels in the yard, you can rely on a travel lift crane. 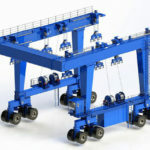 Each model can be uniquely engineered to meet your specific vessel handling requirements. 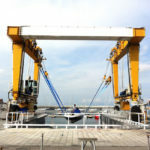 The boat lift supplied by our company can handle everything from short and heavy fishing boats to long yachts and barges. The required travel lift specifications, such as rated load capacity, span ,wheelbase, overall height and width, inside clear width, lifting speed and travelling speed. We are committed to designing and manufacturing the most appropriate travel lift for user’s need. Each of the equipment is ruggedly constructed using high quality steel and state of the art processing facilities. Do you know that we are not only travel lift manufacturer and supplier, but a service provider? We can ensure a perfect after-sale and spare part service with skilled and experienced after-sales service engineers. Our travel lifts are designed and constructed to meet or exceed user’s expectation for the utmost efficiency, safety, reliability and durability of boat handling. To get the latest price of 500 ton travel lift, you can fill out the contact form, call us or send us an email. We will reply you soon!